Thomas Tedrow | Industry Blog | Thomas Tedrow, a bestselling author and screenwriter, blogs about the literary industry. Thomas Tedrow is a best-selling author who has penned 20+ books aimed at children and young adults. He has earned recognition for his work in historical fiction, the goal of which is twofold: to pique young people’s interests in reading, and to impart lessons about the important issues and values that defined different eras. Thomas’ numerous books series have been published by Thomas Nelson (a world leading publisher and subsidiary of HarperCollins) and FamilyVision Press. Some of his best-known books are part of his popular The Days of Laura Ingalls Wilder series. Other books by Thomas include The Younguns series, DinoMites, Kidnapped to the Center of the Earth (Troll Family Adventures Series), Dorothy—Return To Oz, and more. He also penned Heartbreak Trail: Broken Vows, Dead Man’s Confession (as Cass Lewis), The Ninth Deadly Step (as Jack Maloney), The Devil’s Claw (as R.C. Fallon), and Vampire Island (as Derek Storm). He is now working to re-release some of his most popular books in ebook format for new generations to enjoy. In addition to writing books, he has also contributed to multimedia productions such as The All New Adventures of Grizzly Adams – The Legend Continues (Quest Entertainment), which he produced. He was also the Publisher and Editor of Texas Country magazine and Financial Discoveries, which focused on business reports from exotic locations. From business stories of first-hand reports throughout China, Taiwan, Korea, Mongolia, Japan, Russia and Eastern Europe, his 30+ years of business travel and his flair for the unusual, made the world of business entertaining. 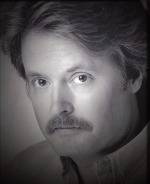 Thomas has done extensive radio, TV, Internet and print tours over the years. Each of Thomas Tedrow’s literary or multimedia works serve as fun, entertaining outlets for children or young adults — while also often serving as glimpses into the fascinating time periods in which they take place. He has focused on writing and producing content to appeal to these specific audiences because he is passionate about helping to produce new generations of avid readers. This blog will focus on the literary industry as it evolves to meet the needs of readers in the 21st century, as told from the perspective of an established author. Thomas will cover topics such as the growing prominence of ebooks (as evidenced by his own re-release of his series The Days of Laura Ingalls Wilder and The Younguns in ebook format). He will also share news about the wildly popular literary genre of young adult fiction, and discuss the important, formative influences it can have on readers of all ages. Thomas Tedrow resides in Florida. He has been married to his wife Carla for 37 years and he has four children. He holds a B.S. in Public Relations/Journalism from the University Of Florida. Beyond his authorship, he enjoys traveling, cooking or trying out new foods, and more.